What is a “millennial?” The term is widely used, but often misunderstood. While definitions vary, almost all of them identify millennials as the largest generation in American history. Pew Research, using dates of birth between 1981 and 1997, estimated that millennials surpassed baby boomers as the biggest generation in 2015, with 75.4 million individuals aged 18 to 34, compared to 74.9 million people ages 51 to 69. At that size, millennials have already greatly influenced the direction of the healthcare system, more so than smaller generations such as Generation X. Some possibilities for how they will continue to affect it include shifts in health IT administration (e.g., more extensive use of cloud computing), as well as pushes for near-instant access to care via easier appointment scheduling. In the long-term, they could also spur changes to senior care programs, most notably Medicare, which is already seeing rapid spending growth as the comparably sized baby boomer generation begins retiring. In part one of this multipart series, we will look at the relationship between millennials and technology in healthcare. Millennials came of age during the 2000s and 2010s alongside applications for smartphones, tablets and cloud platforms, all of which have shaped their expectations for the way services are delivered. The innovations of apps such as Lyft (in transportation) and Airbnb (in rental housing) offer windows into the types of on-demand access that millennial consumers might expect and workers might provide throughout the U.S. health system. According to Pew, 77 percent of Americans owned smartphones in 2016, slightly more than had broadband or used social media. Ownership was particularly concentrated among 18-29 years olds, i.e., millennials. These ubiquitous devices, along with the smartwatches and fitness trackers frequently tethered to them, are changing how appointments are made and how patients share their information with health providers and payers. A poll from Salesforce and Harris Interactive found that 70 percent of millennials would prefer that providers offer appointment setting, medication management and information uploads via their respective mobile applications, according to SiliconANGLE. Such functionalities are already available in some mobile software, including the doctor lookup tool ZocDoc. Major pharmacy apps, such as the Walgreens app, allow extensive mobile management of prescription refills and correlation of fitness data (like number of steps taken) with store reward points. Millennials have helped bring many new technologies into the healthcare sector. On that note, payers have also become increasingly interested in the information compiled by wrist-worn devices such as the Apple Watch. For example, last year Aetna made Apple Watches available to all 50,000 of its employees while also subsidizing the wearable for many large employers and some individuals via payroll deductions. Its goals in doing so may mirror the efforts of startup insurer Oscar Health, which awards Amazon rewards based on data pulled from the iOS Health app. Since 2006 – the year that the Infrastructure-as-a-Service platform Amazon Web Services launched, and when many millennials entered their 20s – cloud computing has grown by leaps and bounds to become a fixture of modern IT. Gartner projected that the transition to cloud platforms would directly and indirectly affect $1 trillion in IT spending between 2016 and 2020. While older generations may have been more skeptical of cloud computing in its infancy, millennials are more likely to expect cloud computing in their technology to help with storage, accessibility and ongoing software updates. A 2016 survey of healthcare CIOs by Harvey Nash and KPMG noted that a majority expected IT budget increases and that cloud computing in particular was seen as a key driver of technological improvement. Indeed, cloud takes many forms, and all of them are potentially useful for healthcare stakeholders, who often struggle with legacy IT infrastructure. For payers, there could be major benefits to shifting from old-fashioned claims systems to ones delivered via Software-as-a-Service models. Under the SaaS model, critical information could be updated in near real-time, visualized more easily through custom dashboards for each purchaser, and managed with minimal overhead, since the cloud service provider handles routine maintenance. Looking beyond tech: How else will millennials affect healthcare? Millennials are already influencing the role of consumer and enterprise technologies in healthcare. 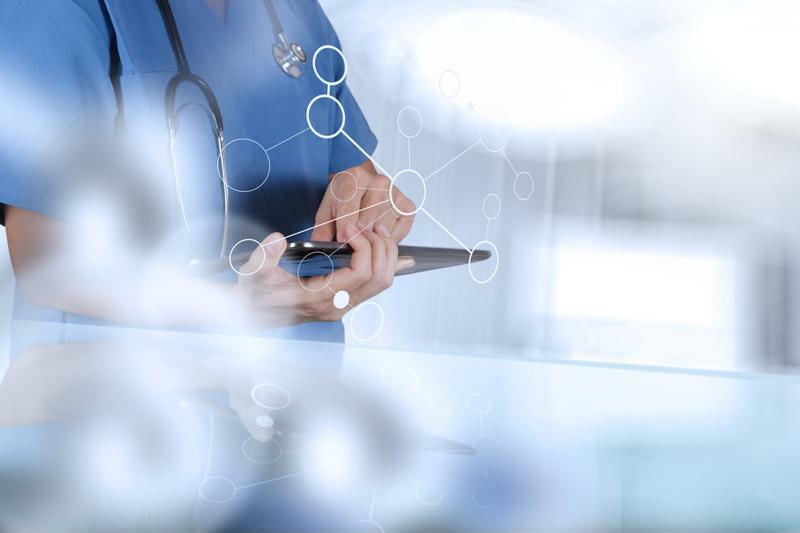 Alongside their heavy use of smartphones, wearables and cloud computing services, they will create significant challenges in how the healthcare sector continues its commitments to cybersecurity and compliance with legislation such as HIPAA. These requirements are already under pressure as the industry integrates Software-as-a-Service and Infrastructure-as-a-Service into many of its operations, but millennial workers will make such cloud utilization the norm rather than the exception. In the next part of this series, we will examine how millennials are changing expectations for medical bills, insurance policies and healthcare software. These new demands will continue the aforementioned challenge of balancing an intuitive, compelling user experience for the cloud computing age with the unique standards of healthcare. We will explore solutions to this issue throughout the rest of the series.